Toronto, ON: ITC Systems is extremely excited and proud to be the lead sponsor of the 11th annual Alley Oop! Bowl-A-Thon hosted by L’Arche on May 4, 2013. 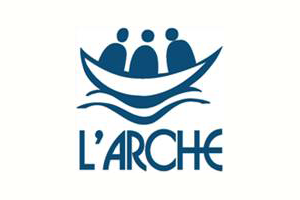 L’Arche is an international organization that provides people with intellectual disabilities with a community where they can live, work and create a home together. “ITC Systems is always looking for ways to give back to the community. We strongly believe in doing our part in helping people who are less fortunate lead a better life and couldn’t be more honored to sponsor L’Arche’s Bowl-A-Thon.” describes CEO Cam Richardson on his decision to be the lead sponsor of the event. ITC Systems is very excited about the bowling fundraiser and believe it will be priceless experience for everyone. ITC Systems encourage all its partners and clients in the Toronto community to learn more about the difference L’Arche makes and support them in the best way you can. L’Arche is an international network of over 140 intentional communities in almost 30 countries where people with intellectual disabilities and their assistants live, work, and create home together. L’Arche Toronto was founded on the principles of welcome and inclusion. Our community is composed of members who come from diverse backgrounds – differing in faith, ability, age and culture. At L’Arche Toronto we celebrate the unique contribution that each individual or tradition has to offer; the values of interdependence and respect are an integral part of our life together. Community members celebrate life, share their joys and sorrows, and forgive each other as in a family. Those who live in L’Arche enjoy a simple lifestyle, which gives priority to relationships. L’Arche Toronto is comprised of 4 homes and one creative arts program located in the city’s Danforth & Riverdale neighborhoods.